Come and take the controls for your first flight, see if you have what it takes to be a helicopter pilot. Warning you will be addicted after the first flight! Includes a mandatory ground lesson. This course is a 141 approved course with examining authority available to recreational or student pilots. In some cases previous knowledge and experience can be credited toward the course curriculum requirements per FAR 141.77 (c). Students who wish to train under FAR part 61 can be provided a custom quote for a program based on their previous knowledge and experience. **NOTE: These costs are based on FAA MINIMUM time required. The national average is approximately 55 hours of flight time for an initial private certificate. Our company average is 47 hours. You should budget an extra $4000.00 above the minimum requirements. This course is a 141 approved course available to private or higher rated pilots. **NOTE: These costs are based on FAA MINIMUM time required. Our company average is 35 hours for the private add on. You should budget an extra $5000.00 above the minimum requirements. This course is a 141 approved course with examining authority available to private rated pilots. This course is a 141 approved course available to commercial or higher rated pilots. This course is a 141 approved course with available to commercial rated pilots holding an instrument rating. This course is a 141 approved course for those who already hold an ATP certificate. 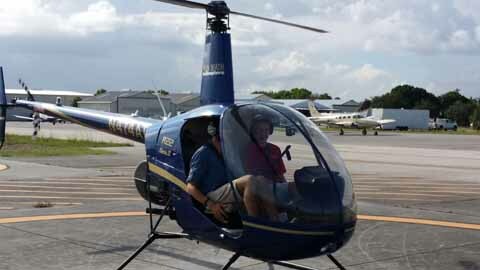 You may take this course and your ATP check ride without any previous helicopter experience however if you have no previous helicopter experience or ratings you should plan on an additional amount of flight and ground time of approximately 25 hours flight and 20 hours ground which is an additional $9175.00 in cost. The advantage is you are essentially combining the cost of the Commercial and Instrument add on and only taking one check ride. Note: Graduates of this course are considered to to have met the minimum flight experience of FAR 61.161 in accordance with FAR 61.71. *Examiner SFAR endorsement is required if you intend to provide flight instruction in the Robinson Aircraft. This course is a 141 approved course for those who already hold a commercial or higher certifcate with an instrument rating in helicopters. The CFII may be obtained prior to the Flight Instructor Helicopter rating. 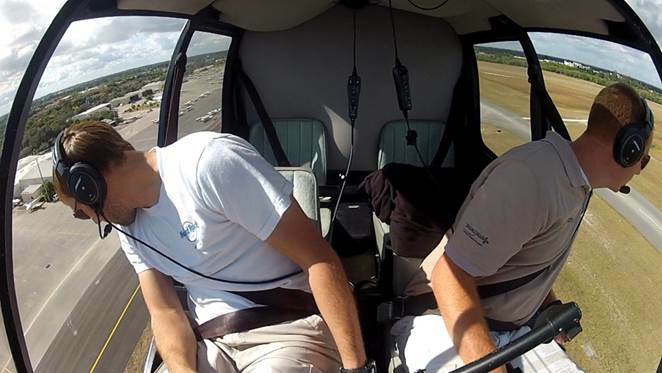 This course is available for those who already hold a pilot certifcate rated in helicopters. 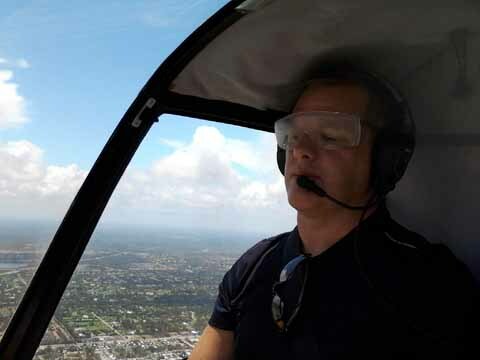 This course is a 141 approved course available to any rated pilots who is a US citizen. Initial training required for personnel who do not have a previous night vision goggle qualification. Training is comprised of a minimum of 8 hours of ground school training and 6 hours of flight training. FAR 61.31(k)(1)(2) endorsement provided upon successful completion. May operate as pilot in command while utilizing night vision goggles. This course is available for those who already hold a pilot certifcate rated in helicopters and NVG qualified. Annual training required for personnel who should continue to serve in the same duty position during night vision goggle operations and also for those who have exceeded 120 days since their last NVG flight. FAR 61.57(g) requirements met upon successful completion. This course is a 141 approved course available to any rated pilots who is a US citizen and have an NVG PIC endorsement. Training is comprised of a minimum of 4 hours of ground school training and 3 hours of flight training. Successfully completing this course will result in an endorsement under 61.195(k)(7) to provide NVG instruction. FAR 61.195(k)(7) endorsement provided upon successful completion. May provide flight instruction on the use of night vision goggles. This course is a 141 approved course available to any rated pilots . Learn the challenges of vertical reference flight with external loads and long lines from 30 ft to 100 ft. 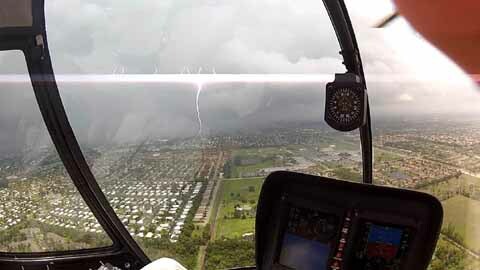 This course is taught in our Robinson R44. Bell 206 available at additional cost. 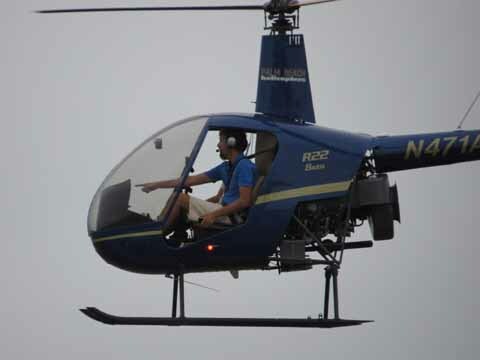 Many students plan to continue training and become helicopter industry professionals. By combining several of the courses offered, we can offer a comprehensive training package to our career minded clients. 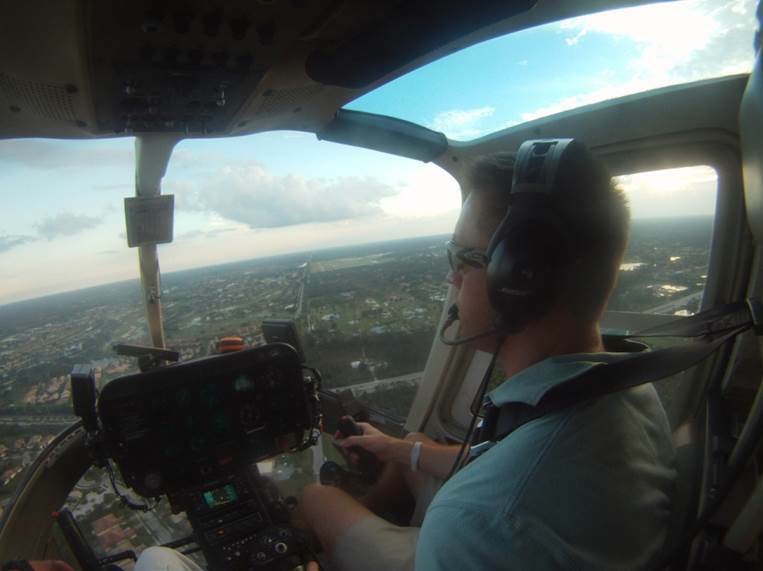 As an entry-level helicopter pilot, flight instruction is often the first step on the career path. 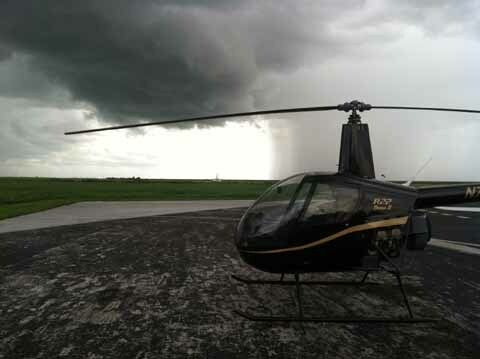 The FAA requires 200 hours of helicopter flight time in order to instruct in a Robinson R22/R44. 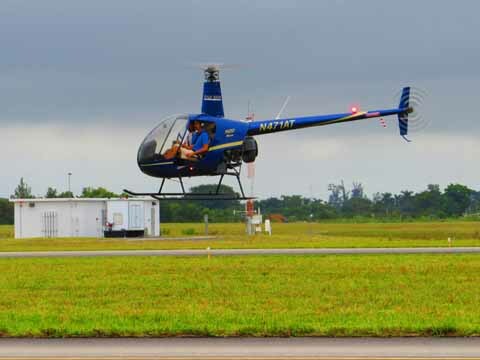 Since approximately 75 - 80% of the flight training facilities in the U.S. operate the Robinson R22 / R44 as entry-level training aircraft, meeting the requirements to work in this model of aircraft would give an individual the greatest potential for employment. 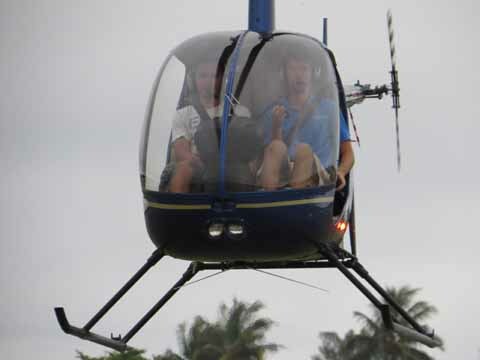 This course is available for anyone wanting to pursue a career as a commercial helicopter pilot. This course combines the private, Instrument and Commercial rating. A commercial rating allows you to legally work as a pilot however there are very few opportunities for employment at this level. This course is a 141 approved course available to any one . 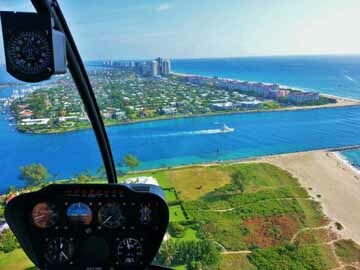 This course will enable the entry-level helicopter pilot the minimum requirements to obtain a flight instructor position in a Robinson R22 helicopter and meet the requirements of FAA SFAR 73. 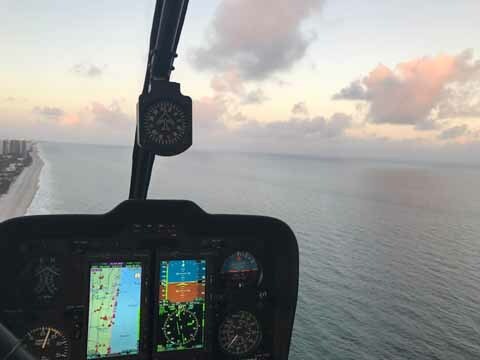 This course will enable the entry-level helicopter pilot the minimum requirements to obtain a flight instructor position in a Robinson R22 and R44 helicopter and meet the requirements of FAA SFAR 73. 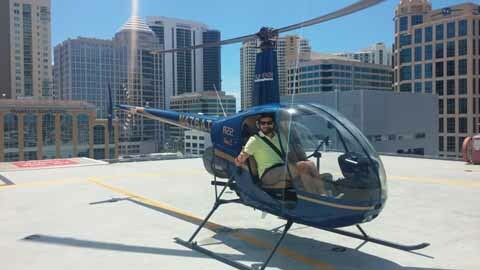 This course will enable the entry-level helicopter pilot the minimum requirements to obtain a flight instructor position in a Robinson R22 and Robinson R44 helicopter and meet the requirements of FAA SFAR 73. 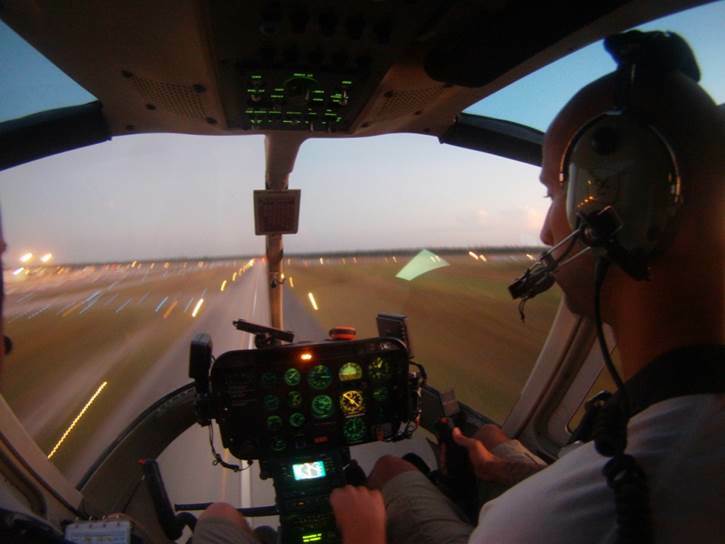 This course also includes NVG Initial and Vertical Reference Long Line courses in the R44.